TREIRB Recruitment 2018 2932 Trained Graduate Teacher, Post Graduate Teacher Vacancy Apply Online Application Form for 2932 Trained Graduate Teacher, Post Graduate Teacher Posts through Official website www.treirb.telangana.gov.in. 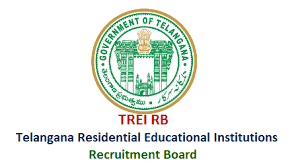 TREIRB invites online applications for appointment in following Trained Graduate Teacher, Post Graduate Teacher post in Telangana Residential Educational Institutions Recruitment Board. The last date for submission of online applications is 08.08.2018. other Details Like education qualification, age limit, selection process, application fee & how to apply, important links, syllabus, admit cards, results, previous papers are given Below. Trained Graduate Teacher in Sanskrit – Must Possess a Bachelor’s Degree or its equivalent with Sanskrit as the main Subject from an Institution recognized by UGC (OR) its equivalent (OR) one of the 3 equal optional subjects (OR) a Bachelor’s Degree in Oriental language (BOL) in Sanskrit (OR) a Post Graduate Degree in Sanskrit. AND B.Ed. with Sanskrit as a methodology (OR), Sanskrit Pandit Training from an Institution recognized by NCTE. Trained Graduate Teacher in English – Must Possess a Bachelor’s Degree with English as the main Subject (OR) one of the 3 equal optional subjects (OR) a Post Graduate Degree in English from a University recognized by UGC. AND B.Ed. with English as a methodology from an Institution recognized by NCTE. Trained Graduate Teacher in Social Studies – Must Possess a Bachelor’s Degree with any two of the following subjects as optional OR one of them as a main and any other one as a subsidiary subject: (i) Economics (ii) History (iii) Political Science (iv) Sociology (v) Public Administration (vi) Geography (vii) Commerce (viii) Politics (ix) Social Anthropology (x) Ancient Indian History Culture and Archaeology (xi) Anthropology (xii) Social Work (xiii) Philosophy (xiv) Psychology OR 2) B.Com from an institution recognized by UGC. AND B.Ed Degree with Social Studies / Social Sciences /Geography / History/ Politics / Political Science / Economics as a Methodology subject from an institution recognized by NCTE. (Remittance of Fee) Each applicant must pay Rs.1200/- (Rupees Twelve Hundred Only) towards Application Processing Fee and Examination Fee. However, local applicants of Telangana State belonging to SC, ST, BC, and PH have to pay Rs.600/- (Rupees Six Hundred Only) each towards application processing fee and examination fee.